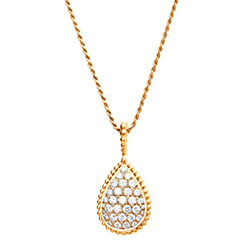 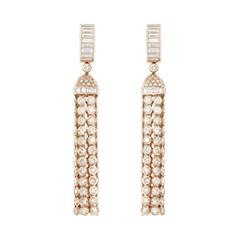 Highlighted by cascading spinels and diamonds paved Art Deco patterns, the Joy de Lumière creation is sparkling like a crystal-clear night. 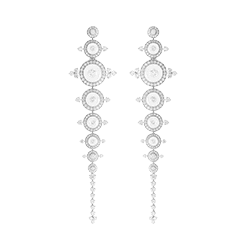 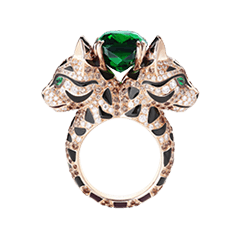 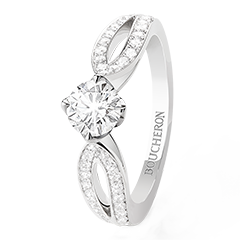 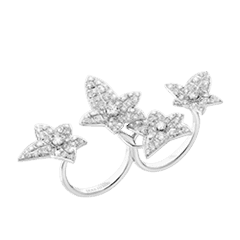 It reminds the majestic jewelry of the empresses lavishly embellished with precious stones and diamonds that the Maison Boucheron reinterprets with a contemporary twist. 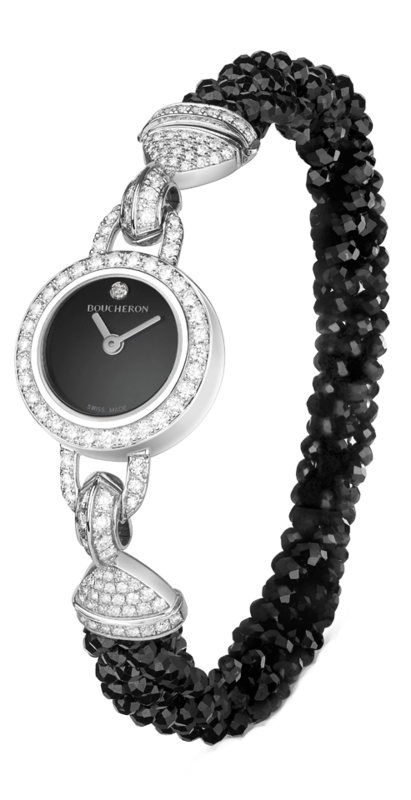 Watch in white gold 750 / 1000 set with diamonds and black spinels. 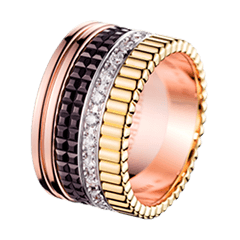 Dial set with one diamond. 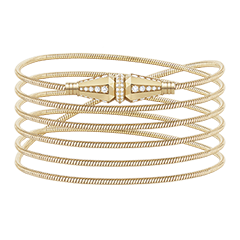 Twisted bracelet in black spinels. 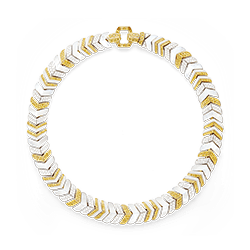 Case diameter : 18 mm.